CHP is a locally managed and governed charitable housing association operating across Essex. The association provides high-quality homes for those unable to rent or buy privately. 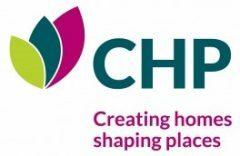 CHP was established in March 2002 following the transfer of housing stock from Chelmsford Borough Council and now owns and manages over 9,000 homes and has been developing new homes– the current development pipeline is approximately 350 new homes per year. CHP is looking to recruit two new Board Members to join their team and support the governance of the organisation. CHP is looking for individuals with existing direct or indirect experience of the social housing sector who identify with the organisation’s core values and aims, in particular its focus on customers. CHP is keen to recruit Board Members who are interested in working with an organisation which is proud to have and retain its real social heart and purpose. Beyond these core requirements, CHP has a broad range of skill and experience requirements as a Board and welcomes applications from a variety of specialisms. Previous non-executive experience is not essential. The closing date for applications is 9:00am, Monday 3rd September 2018. The job reference code is ALT222.